Cusco is undoubtedly one of South America’s most vibrant cities. Between its rich culture, storied past, and dramatic landscapes, it’s enough to take your breath away—both figuratively and literally. The city sits at a staggering altitude of 11,152 feet, making shortness of breath and altitude sickness a common occurrence for unsuspecting visitors. Thankfully, Peru’s friendly locals are quick to offer some time-honored tips and tricks to help tourists bounce back in no time (like drinking muña tea made from medicinal Andean herbs and chewing on coca leaves, which are said to alleviate even the most severe symptoms). While Lima tends to steal the limelight when it comes to South American hot spots, Cusco is actually the second-most frequented destination in Peru, drawing an estimated 1.5 million visitors each year. Known for being the Gateway to the Sacred Valley, most people only spend a day or two in the bustling cosmopolitan epicenter as a means to an end before continuing on to the grand finale: Machu Picchu. But Cusco deserves its rightful place on any intrepid traveler’s bucket list. A fascinating contradiction between ancient heritage and modern innovation, here’s your four-day guide to one of the most important archaeological capitals in the world. For an authentic slice of Peruvian culture combined with the lavish amenities you’d expect from any five-star hotel, look no further than the JW Marriott El Convento Cusco. 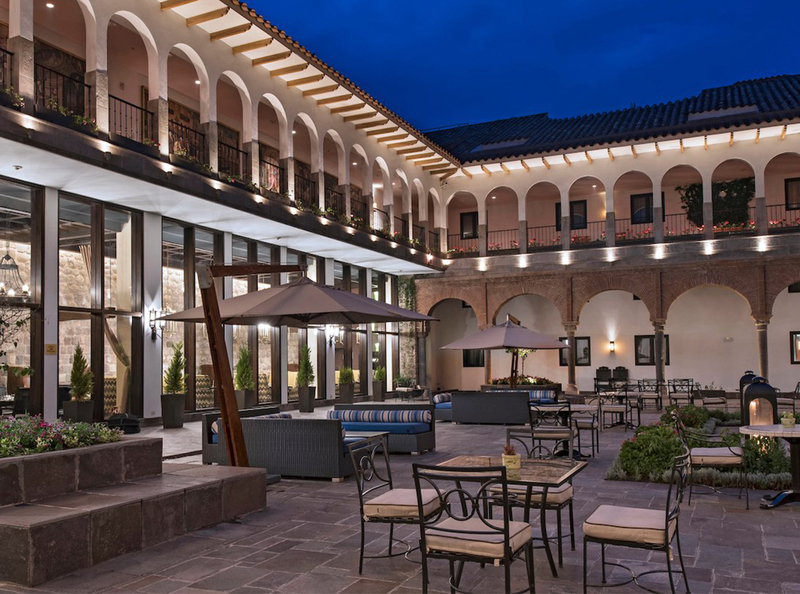 As the name suggests, the centrally located hotel inhabits a restored 16th-century convent and is chock-full of awesome design details, like original pre-Inca stone walls and on-site archaeological ruins that date back hundreds of years. Remember that whole altitude sickness thing? It’s no joke, which is why each of the property’s 153 rooms and suites feature built-in oxygen systems—a major perk that allows guests to acclimate with ease. For more budget-conscious travelers, another solid option is the three-star Hotel Rumi Punku, located in the San Blas neighborhood just steps from the Plaza de Armas main square. Evening: It’s going to be hard resisting the urge to head out and investigate the city immediately after checking into your hotel—but trust us when we say it’s imperative to lay low and hydrate, at least for the first evening. Make yourself a cup or two of that muña tea and take it easy. For dinner, your best bet is to eat something light like fresh ceviche and catch up on rest. You’ll need it for the jam-packed schedule ahead and will be thankful in the morning. Morning: Kick off the morning with a quick breakfast of indigenous fruits, freshly baked breads, and more muña tea before stopping into the JW Marriott courtyard for a quick photo opp with the hotel’s resident alpaca, Panchita (she’s Instagram gold). Then embark on a walking tour through the Historic Center of Cusco. Tap a trusted tour operator like Peru Sightseeing, where a local guide will be able to give you a lay of the land while teaching you about the city’s mystical legends and religions, showcasing its Inca and Spanish Colonial architecture, and introducing you to the main attractions like Koricancha, or the Temple of the Sun. Afternoon: After wandering through the city’s cobblestone alleyways and main plazas, hop in the van to extend your journey through the Sacred Valley. 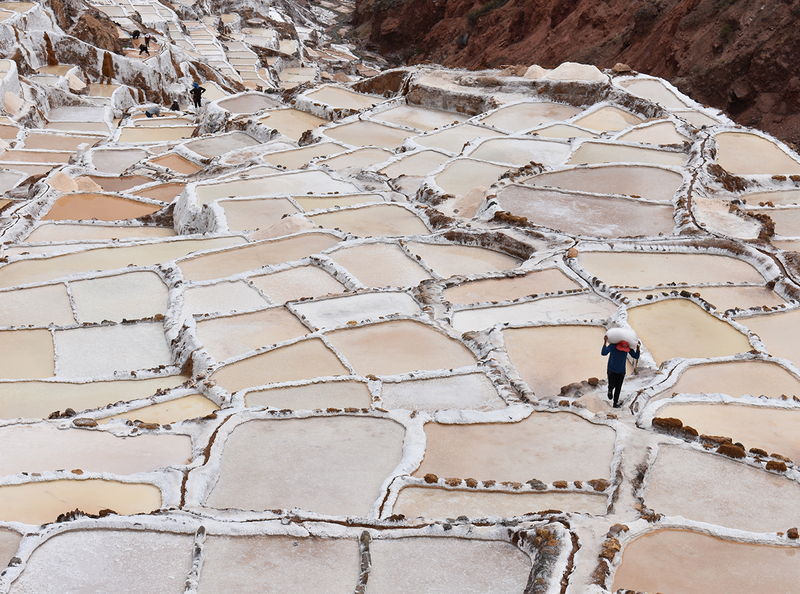 Highlights along the way include visiting an authentic textile center in Awanacancha; perusing the markets of Pisac; exploring the expansive Maras Salt Mines; and discovering the mysterious Moray Archaeological Complex. While in Moray, make a reservation at MIL Centro, a restaurant opened earlier this year by celebrated Peruvian chef Virgilio Martínez of Chef’s Table fame. Their phenomenal multi-course lunch menu highlights native ingredients and ancestral cuisines of the Andes found in Cusco’s unique high altitude ecosystems. Evening: Once you’ve arrived back in the city’s main hub, it’s time to freshen up and prepare for a night on the town. For dinner, head to Limbus Resto Bar just before sunset, which has some of the best panoramic views of Cusco, in addition to killer cocktails and local favorites like eggplant tiradito and grilled trout with corn puree. Walk off the calories by descending back into town, but not without making a pit stop at San Cristóbal Church. In the evenings, you can look out at the twinkling city below. Morning: Get a sense of local life by taking an early stroll through the San Pedro Market. Flocks of people venture to the indoor bazaar every day for its rows upon rows of colorful stalls that peddle everything from cereals to silver. The massive market is divided into various sections, such as meats, fruits, fresh-squeezed juices, cheeses, clothing, jewelry, housewares, and more. It can be a bit overwhelming to navigate alone, but The JW Marriott’s Executive Chef Heivel Bedoya and his team from Qespi Restaurant and Bar offer complimentary market tours where hotel guests can shop for sundry ingredients and learn to make classic Peruvian dishes. Afternoon: Once you’ve gathered the goods, head back to the spacious hotel courtyard where the culinary team will walk you through the steps of preparing the perfect ceviche. Think of it as the souvenir that keeps on giving. After filling up on lime-marinated fish and vegetables, pop into some of the city’s best museums and galleries. Museo Máximo Laura is just blocks away and features the award winning tapestries of the beloved Peruvian artist. Other favorites include the Museo de Arte Precolombino located inside an Inca ceremonial house dating back to 1450, and the Museo de Historia Natural that gives visitors a firsthand look at the country’s native animal species. Evening: Don’t feel guilty if you’re feeling exhausted after a few days of back-to-back of exploration. After all, you’ll want to conserve some energy for tomorrow’s lineup. Treat yourself to a rejuvenating treatment at JW Marriott’s spa, which specializes in ancient Andean-inspired healing sessions, massages, and more. Or, if you still have some chutzpah, pull up a barstool at Museo Del Pisco to sample a selection of their various pisco varieties. Then, you can dance the night away at one of the city’s top nightclubs, like Mama Africa or Ukukus Bar. 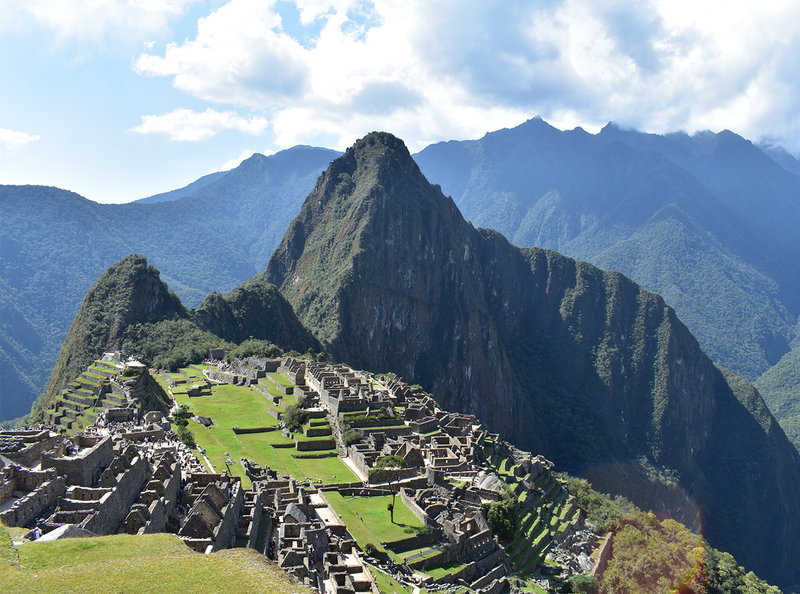 Morning: What trip to Cusco would be complete without making the pilgrimage to Machu Picchu? (Not a very good one.) While many people opt to hike the four-day trek along the world-renowned Inca Trail, time constraints can prevent that from being a viable possibility. Luckily, the Belmond Hiram Bingham is an option. The luxury train offers daily round and one-way trips. Named after the explorer who rediscovered the ancient Inca citadel, the Pullman-style train carriages evoke the bygone era of rail travel. Arrive to flutes of complimentary champagne and a live performance by traditional musicians before boarding and enjoying brunch. Book your tickets through Peru Rail, or check out some of their other options, like the Vistadome or Sacred Valley Train. Afternoon: After the three-hour journey, your assigned guide will prepare you for an afternoon discovering this illustrious UNESCO World Heritage Site. Perched in the Urubamba River valley, nearly 8,000 feet above sea level, Machu Picchu was recently recognized as one of the new Seven Wonders of the World, and it’s not hard to understand why. The Inca citadel was constructed around 1450, but was abandoned a century later during the Spanish Conquest. It remained unknown to most of the world until American historian and author Hiram Bingham brought it to international prominence in 1911. Evening: Once you’ve taken approximately 1,000 photos, it’s time to make the journey back to Cusco. Pisco sours await aboard the Belmond Hiram Bingham, and you can look forward to multi-course dinner served shortly after. Then, sneak back to the train’s bar car, where you can order more concoctions while singing along with other passengers to the live band’s unforgettable musical performance. 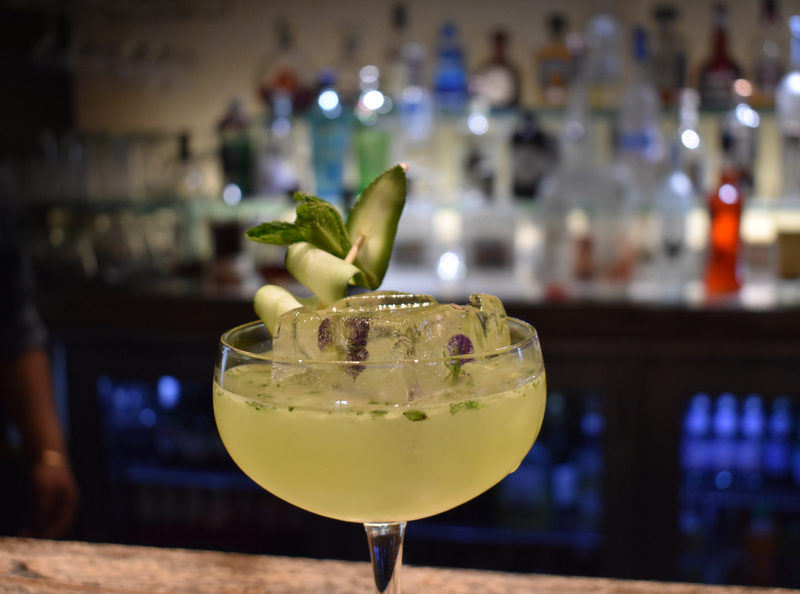 Back in Cusco, end the evening at Qespi Bar with one of their signature cocktails for an expertly crafted nightcap—after all, you’ve earned it.